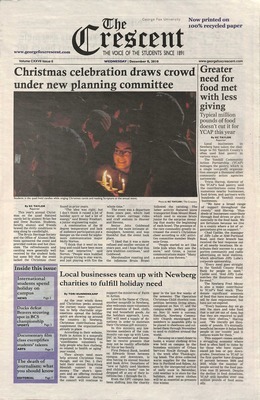 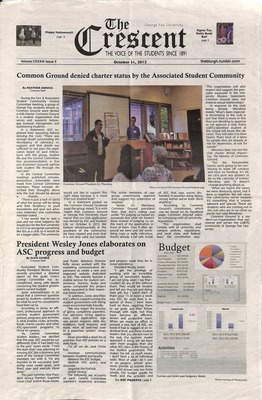 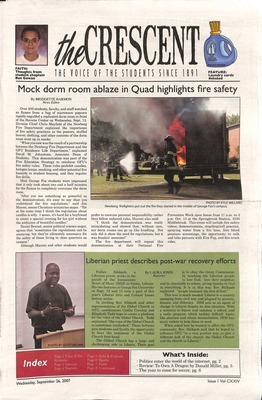 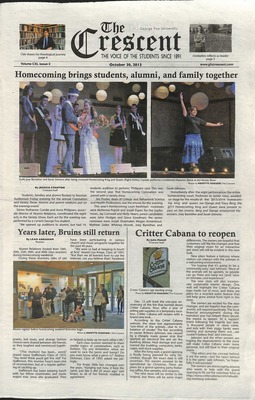 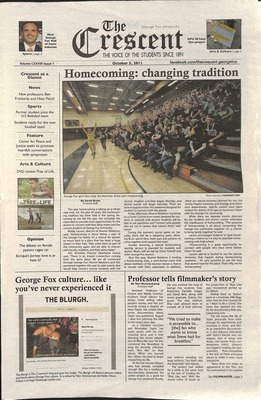 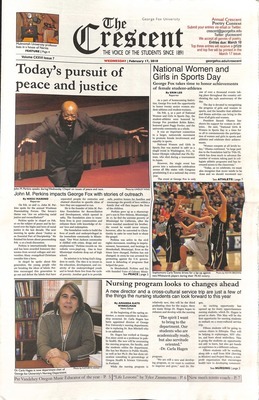 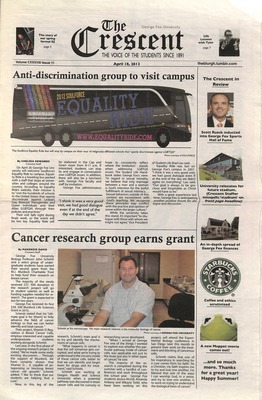 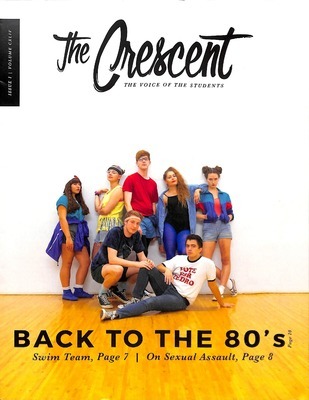 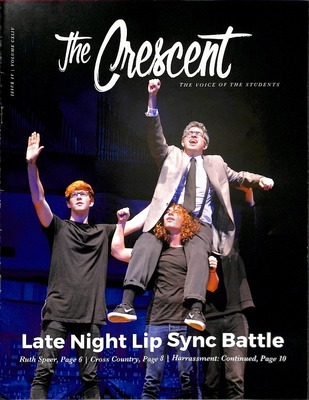 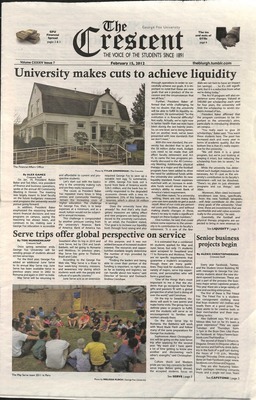 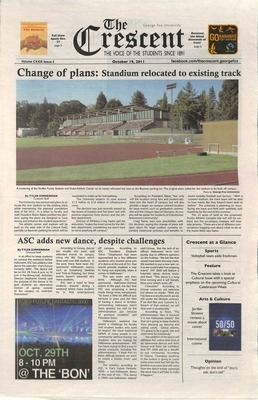 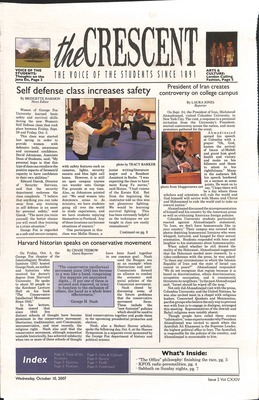 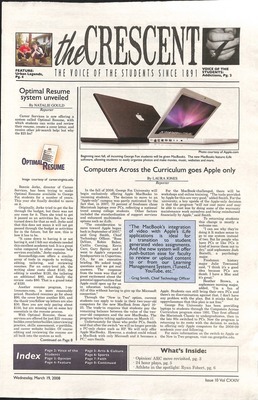 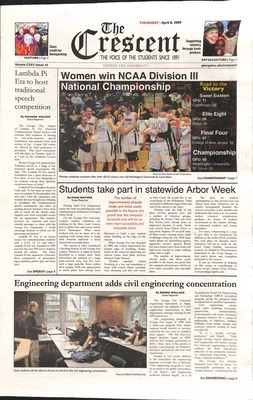 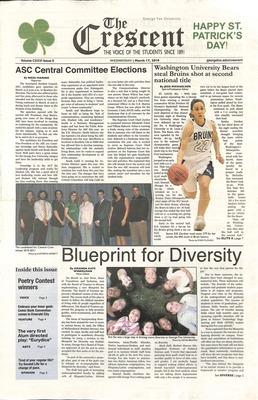 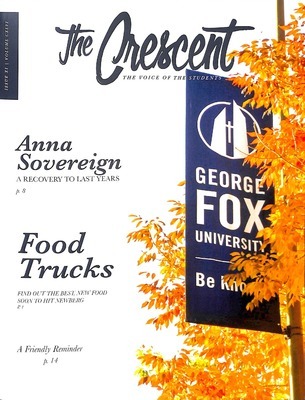 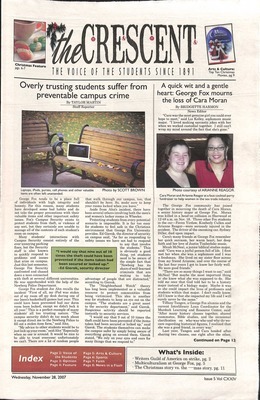 The Crescent newspaper has served as "The voice of the students since 1891" at George Fox University. 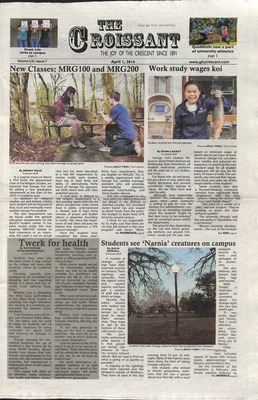 Student newspaper of George Fox University. 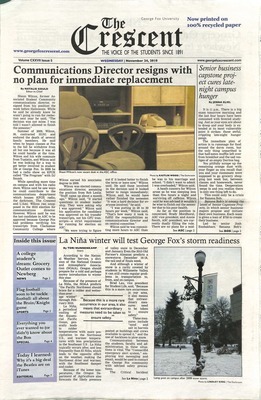 Student newspaper of George Fox University Archives. 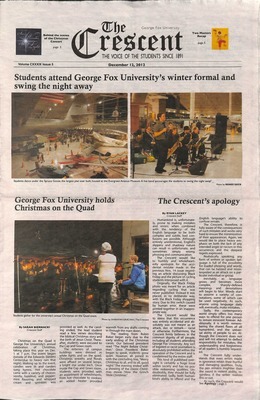 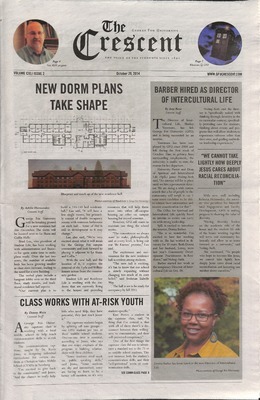 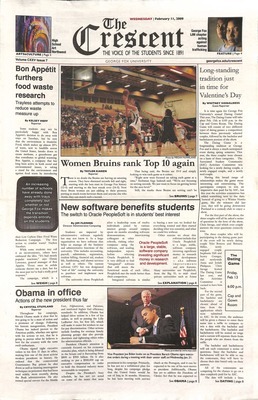 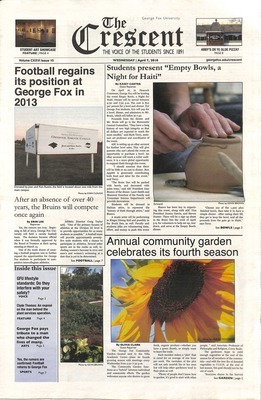 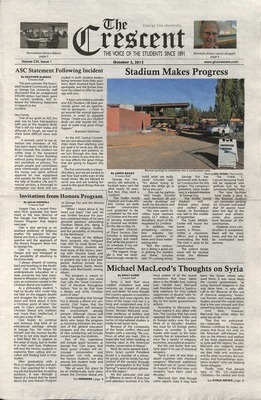 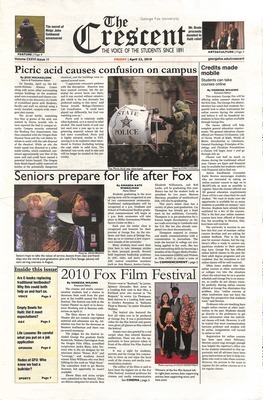 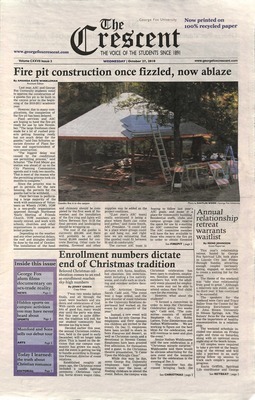 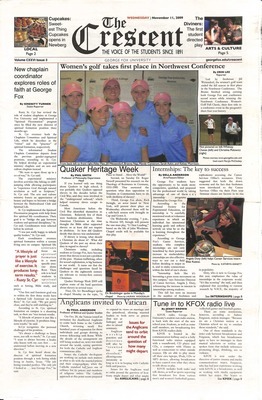 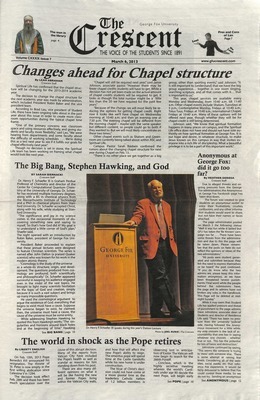 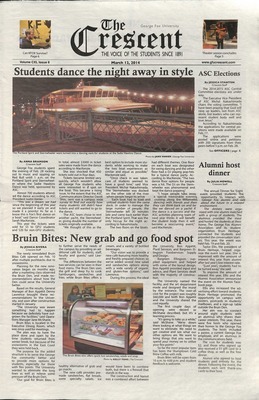 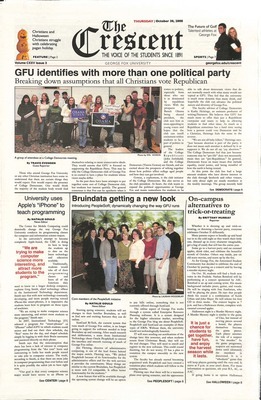 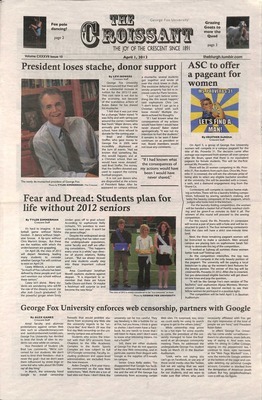 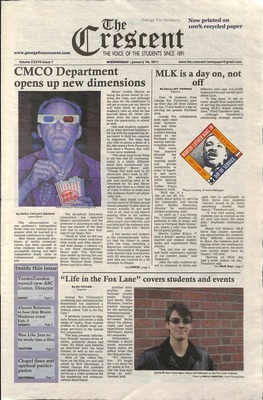 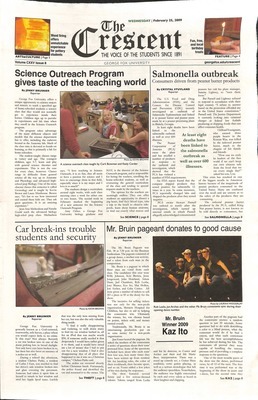 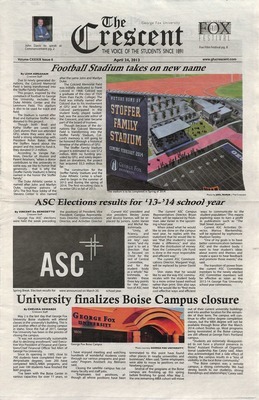 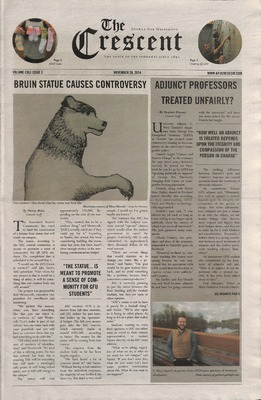 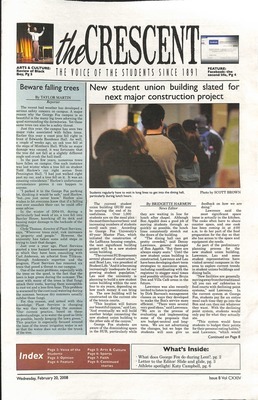 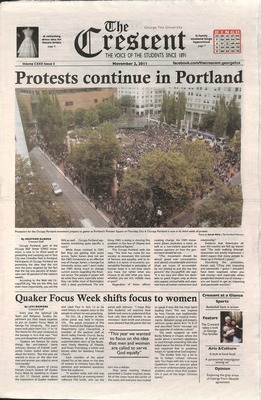 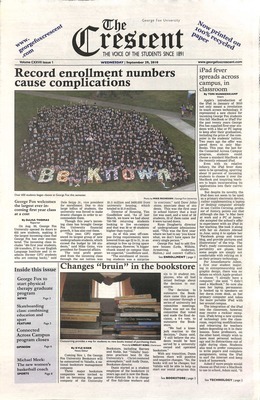 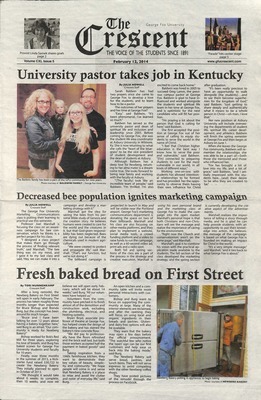 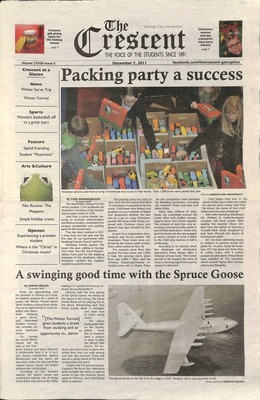 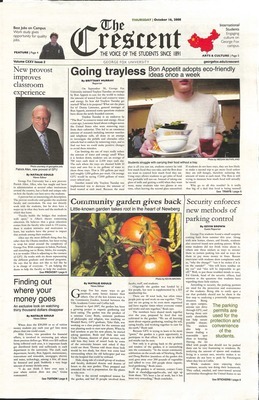 Prank edition of the Student Newspaper of George Fox University. 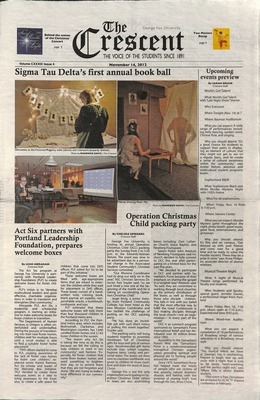 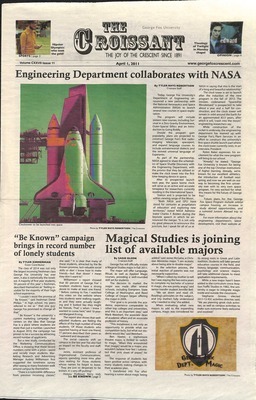 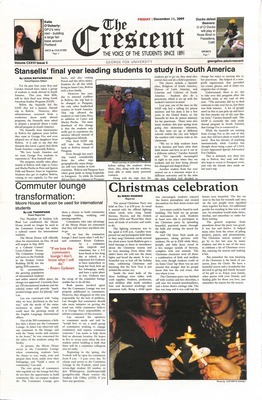 Student Newspaper at George Fox University Archives. 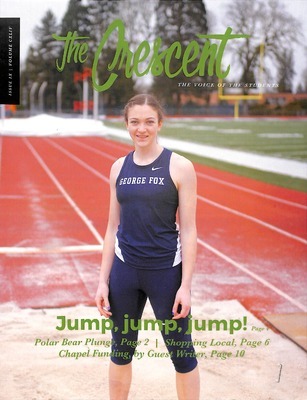 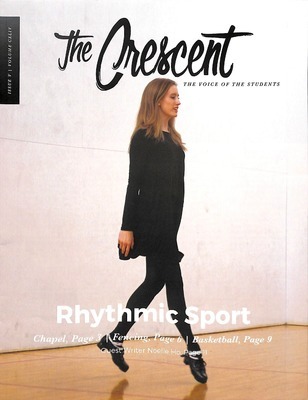 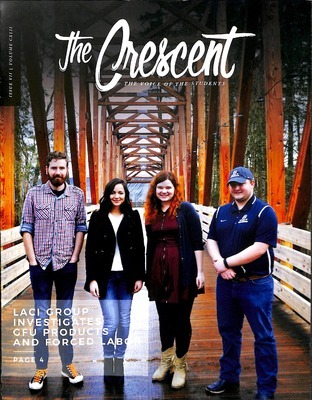 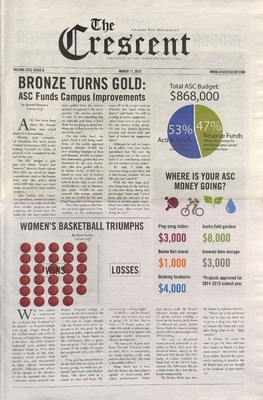 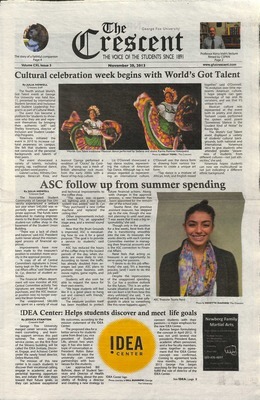 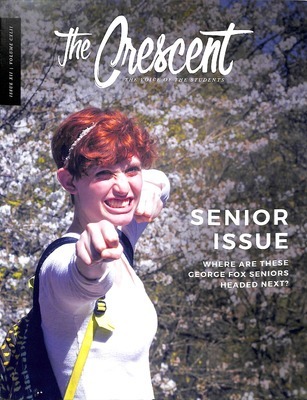 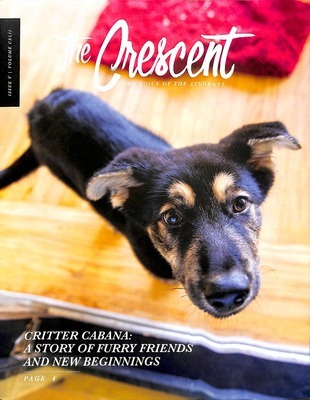 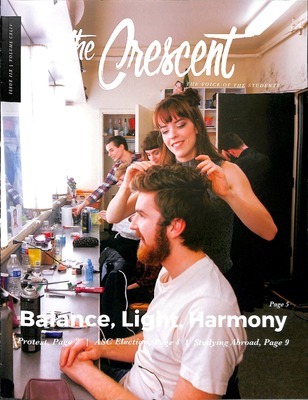 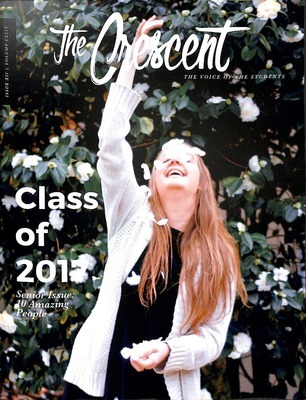 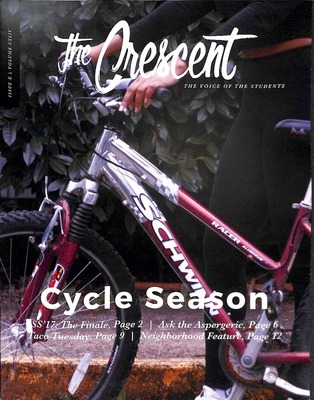 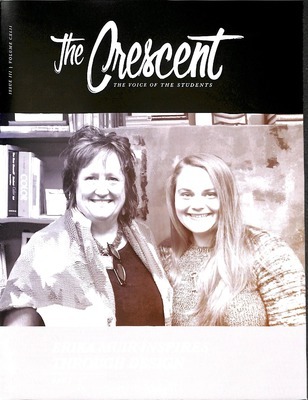 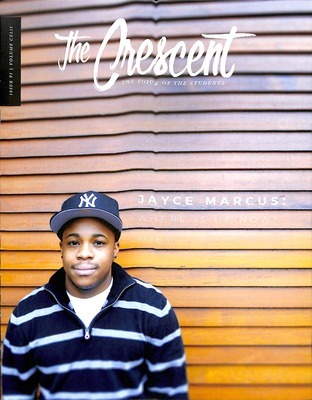 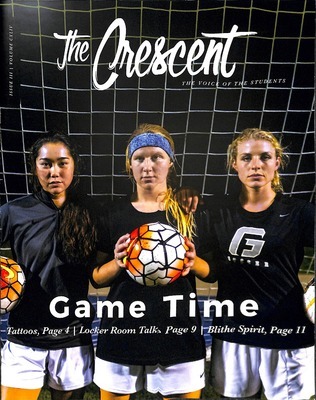 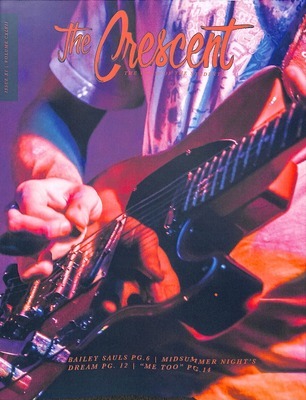 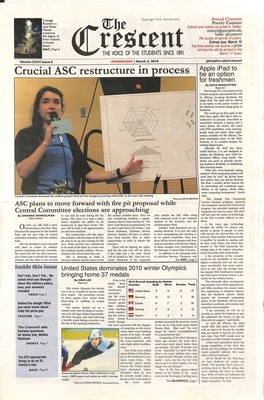 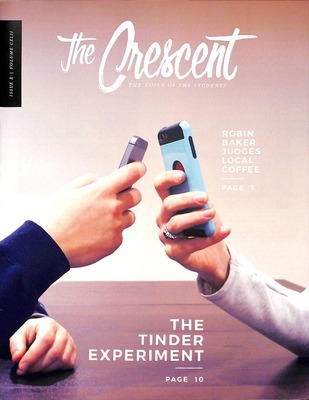 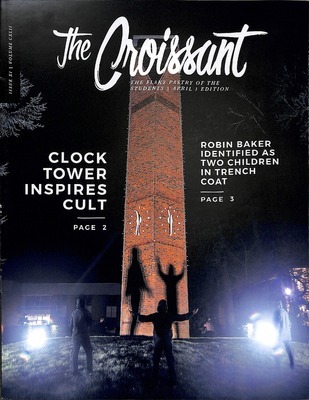 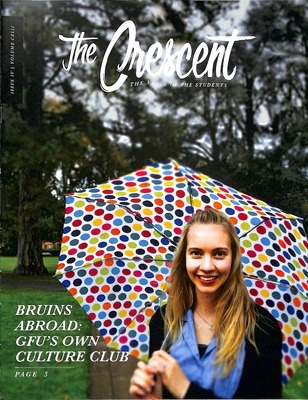 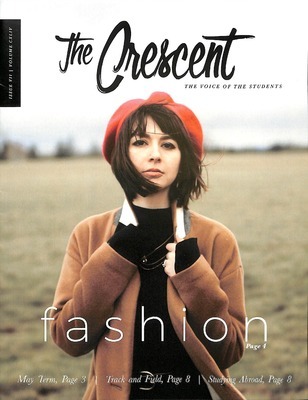 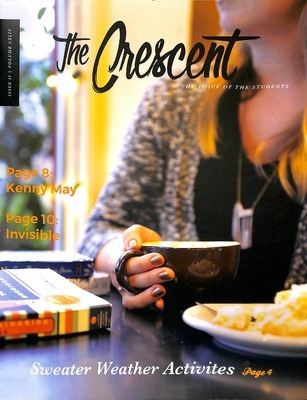 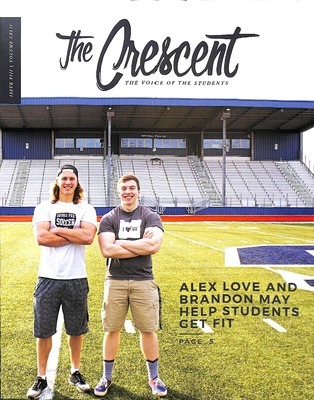 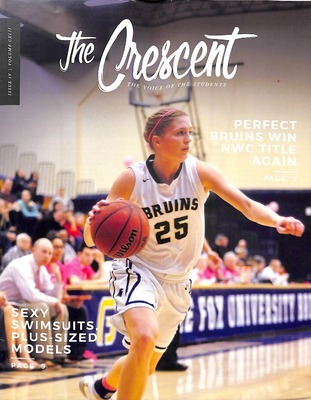 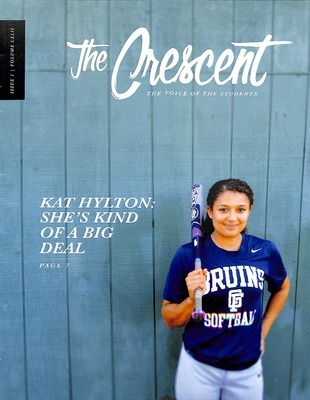 "The Crescent" Student Newspaper of George Fox University. 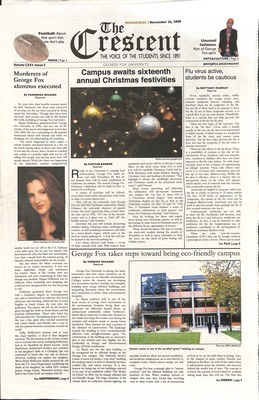 Student newspaper of George Fox College (later George Fox University). 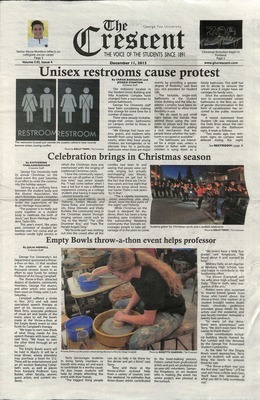 8 pages, black and white. 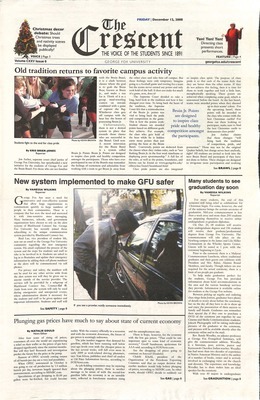 Student newspaper of George Fox College (later George Fox University). 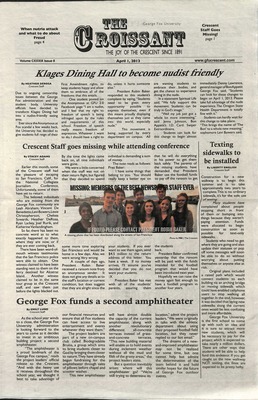 12 pages, black and white. 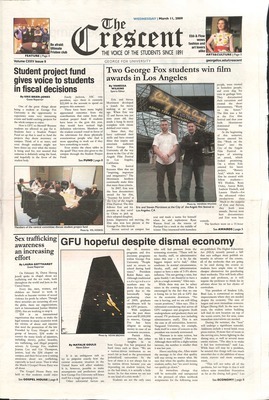 Student newspaper of George Fox College (later George Fox University). 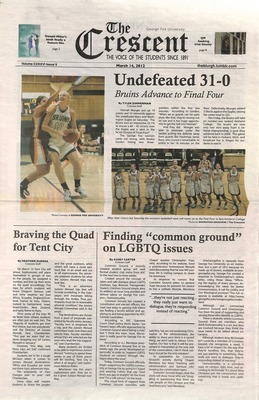 4 pages, black and white. 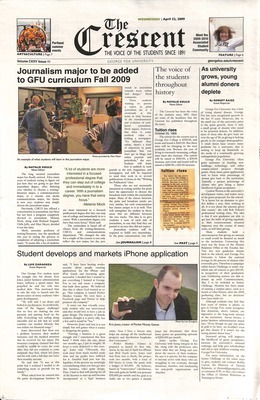 Student newspaper of George Fox College (later George Fox University). 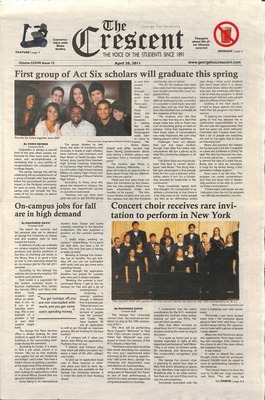 8 pages, color. 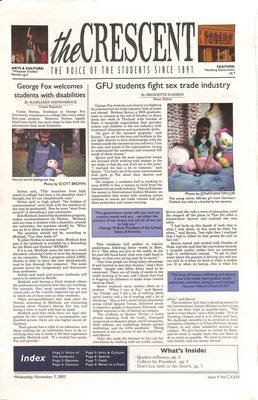 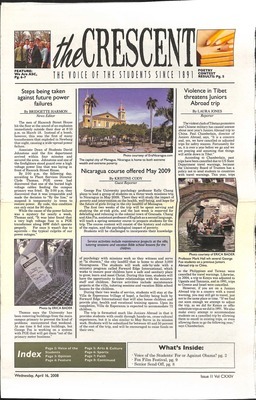 Student newspaper of Pacific College (later George Fox University). 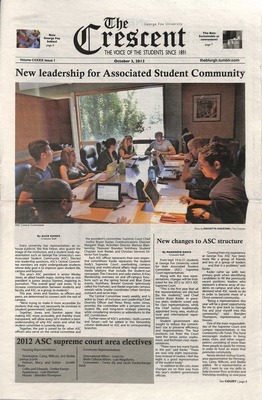 8 pages, black and white. 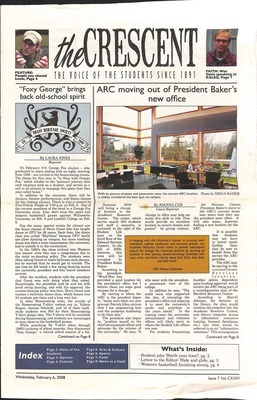 Student newspaper of Pacific College (later George Fox University). 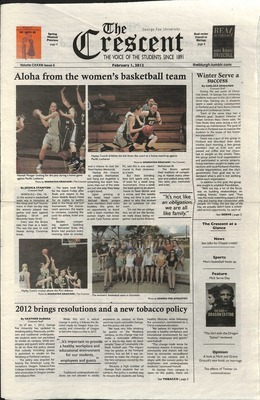 4 pages, black and white. 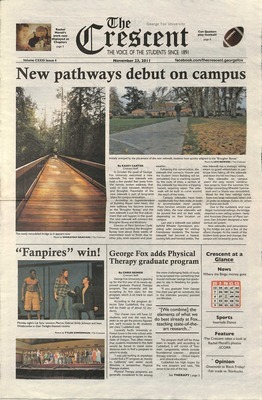 Student newspaper of Pacific College (later George Fox University). 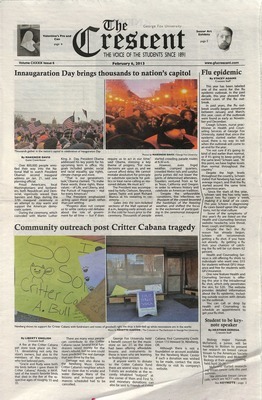 4 pages, color. 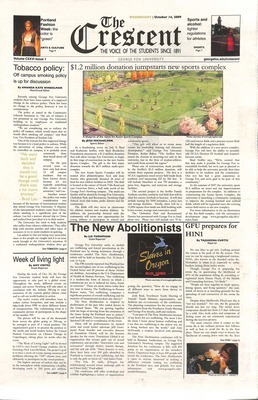 Student newspaper of Pacific College (later George Fox University). 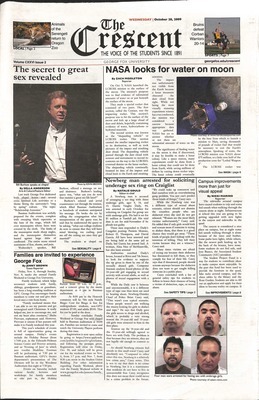 8 pages, color. 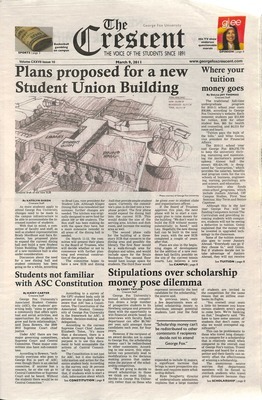 Student newspaper of Pacific College (later George Fox University). 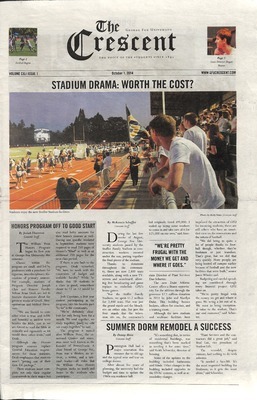 12 pages, color. 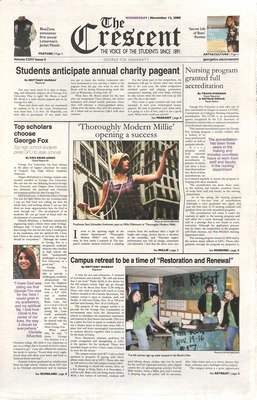 Student newspaper of Pacific College (later George Fox University). 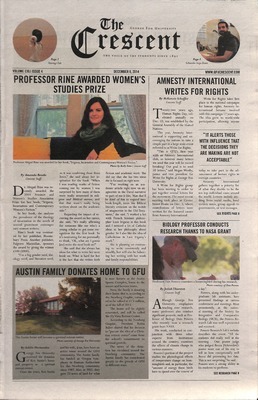 6 pages, black and white. 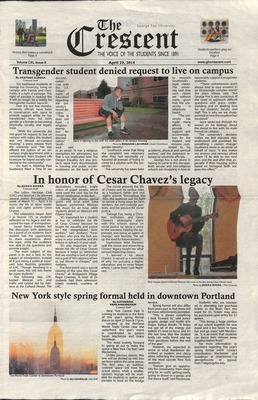 Student newspaper of Pacific College (later George Fox University). 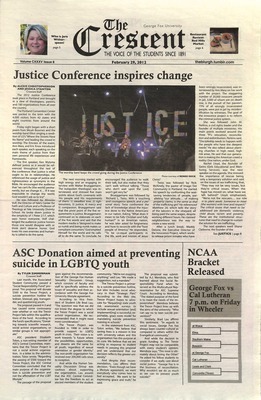 2 pages, black and white. 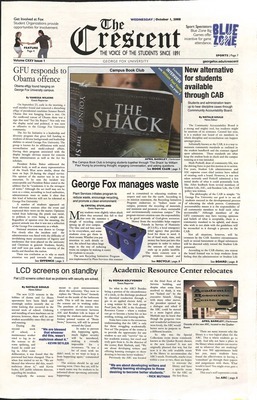 Student newspaper of Pacific College (later George Fox University). 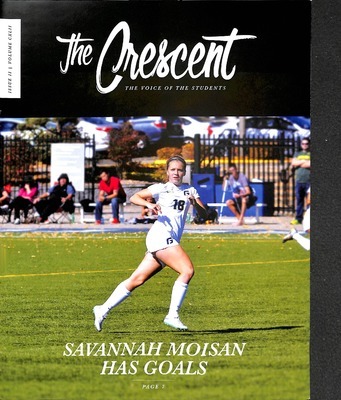 16 pages, black and white. 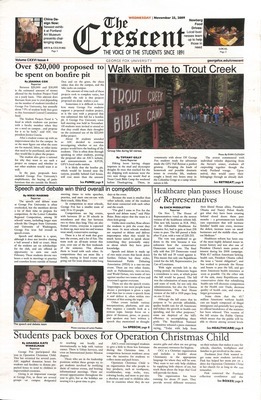 Student newspaper of Pacific College (later George Fox University). 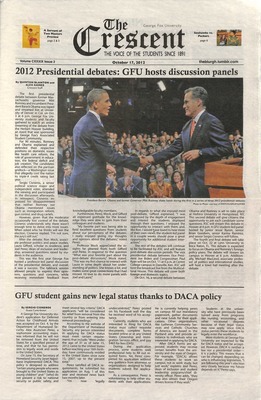 12 pages, black and white. 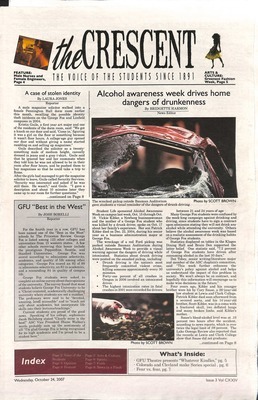 Student newspaper of Pacific College (later George Fox University). 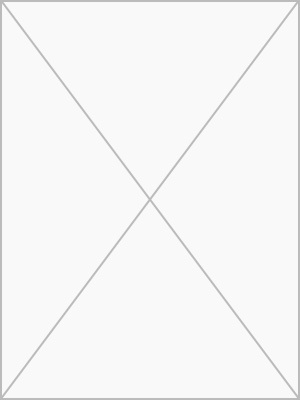 10 pages, black and white.